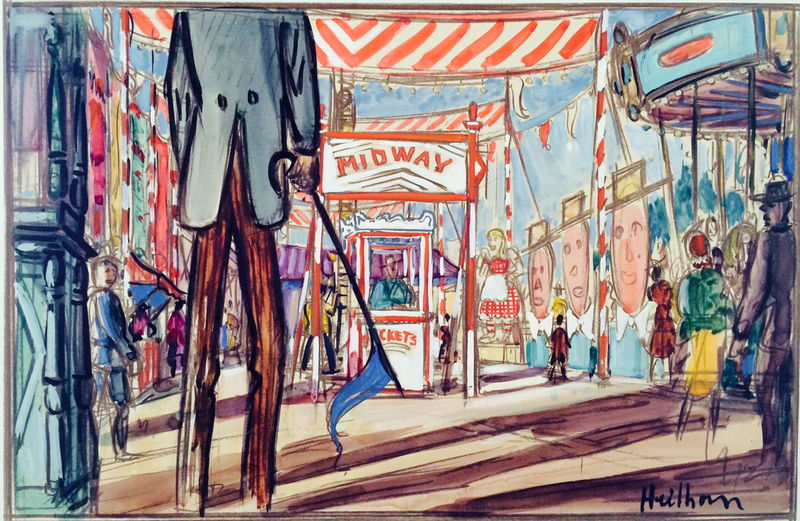 Original watercolors for movie sets by Carl Heilborn are on exhibit in the University of Oregon's Design Library through fall term 2014. These works are in the collections of the Architecture and Allied Arts Library. Carl Westdahl Heilborn was born in Astoria in 1906. He studied art and architecture at the University of Oregon beginning in 1926, and in 1930 he was awarded a fellowship to attend the Chouinard Art Institute in Los Angeles. Ellis Lawrence praised the success of the former student in the article, “Carl Westdahl Heilborn, Delinator; Another Star Rises in the West” (Pencil Points, June 1932). 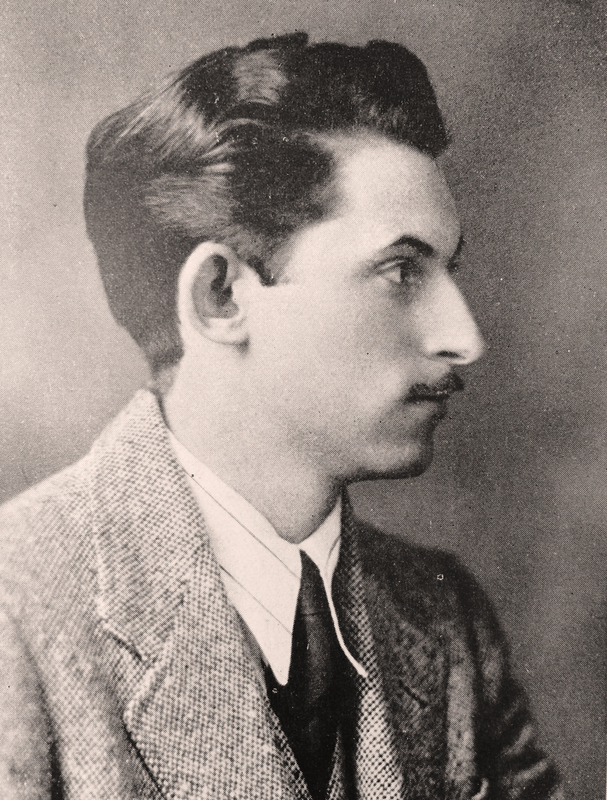 Lawrence, the dean of the School of Architecture & Allied Arts, noted that Heilborn as a student "refused to surrender to grades, honors, or degrees. He was there primarily to learn his job. He had no time to dilute his training with the hodge-podge curricula usually taken by college students. He wanted content, not superficial information." Left: Carl Heilborn, 1932. Source: Pencil Points, June 1932, p. 393. Heilborn was widely acclaimed as an artist, particularly for his drawings, and his work can be found in museums, on auction, and in publications. In the 1930s, his work frequently appeared in the periodical Pencil Points. From 1935 to about 1950, Heilborn worked as a set designer for Universal Studios and 20th Century Fox. The exhibit features designs for the films In Old Chicago, White Hunter, and One Way Street. In 1942, he married Bianca Majolie, an animator for Walt Disney Studios. 1953, he and Bianca opened the Heilborn Studio Gallery in Los Angeles where they featured their work and that of other artists. Heilborn died in Los Angeles on April 26, 1954. 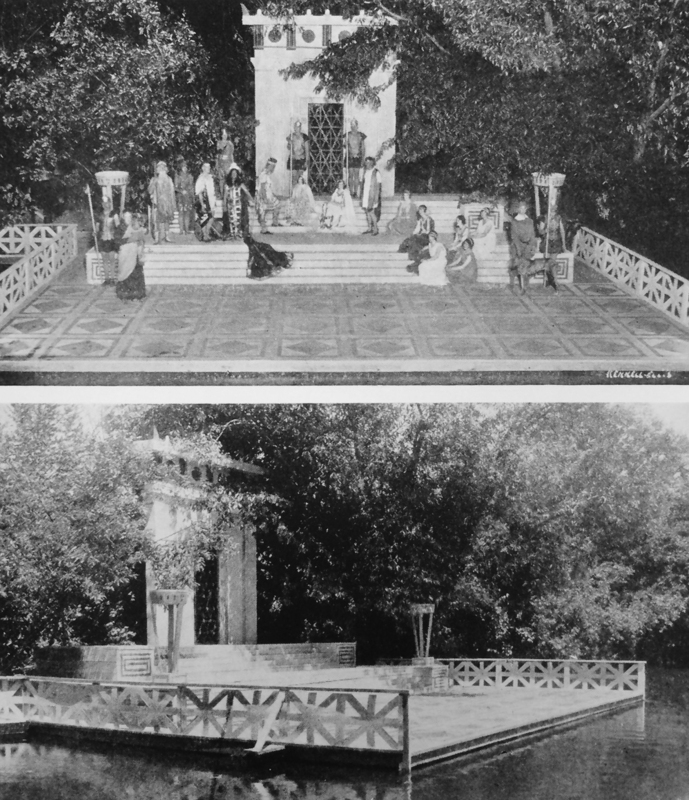 Left: Heilborn's design for a floating stage for a UO Theater performance of A Midsummer Night's Dream. Source: Stratton, Clarence. Theatron: An Illustrated Record. (Holt, 1928). Lawrence, Ellis F., "Carl Westdahl Heilborn, Delineator. Another Star Rises in the West," Pencil Points (June 1932): 393-402. "The California Earthquake Recorded in Black and White; A Notable Group of Drawings by Carl W. Heilborn," Pencil Points (September 1933): 383-388. "Four Water Colors by Carl W. Heilborn," Pencil Points (January 1939): 43-46. Exhibit creator & page author: Ed Teague.